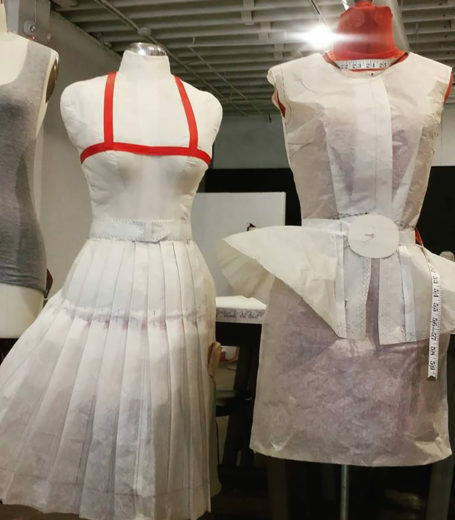 TISSU Sewing Studio is a contemporary sewing "school" that is committed to bringing back time-honored fashion arts with a modern twist. The owner, Nina Winter, is a Kansas native who graduated with a Masters of Fine Arts in Fashion from the Academy of Art University in San Francisco. TISSU offers classes on sewing, fashion design, costumes, textile crafts, and other forms of mindful making. In addition to classes and workshops, they also offer different kinds of “sewcials.” These are private sewing parties for birthdays, date nights, girls night out, etc. You can bring in food and drink, choose a fashion sewing project, and TISSU’s instructors will guide your group step by step. Due to our CLASSES, PRIVATE APPOINTMENTS & EVENTS, please check our Facebook page for updated OPEN hours each week.